The Yoga Collective of Yakima (YOCO) provides free yoga and other mind/body/spirit classes taught by experienced, beloved teachers from within the community. 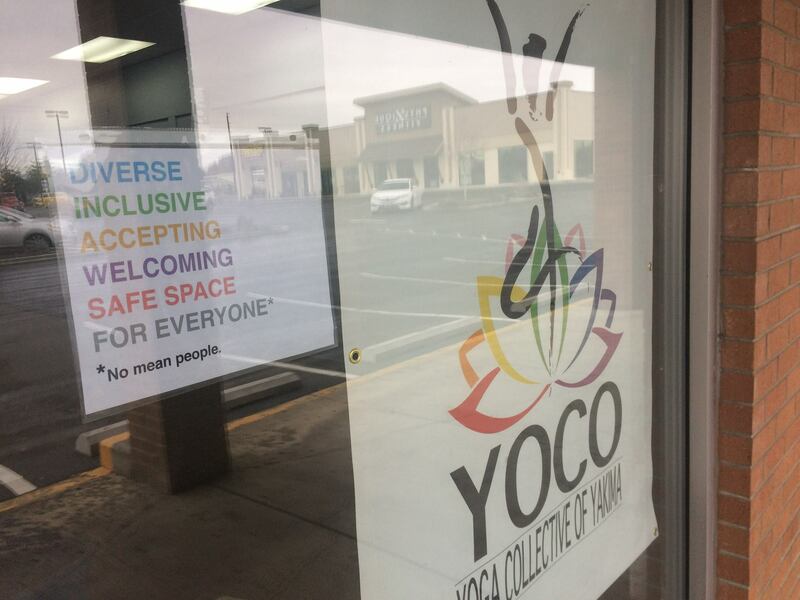 YOCO is made up of teachers, practitioners, and community allies with a vision of building a thriving community space open to all regardless of ability to pay. YOCO is a 501(c)3 non-profit organization and a registered charity with Washington State. We are located in Rainier Square, 2614A W. Nob Hill Blvd in Yakima. We are one door to the right of Ted Browne Music. Tribal Fusion Belly Dance class moves to 6:00 pm. Come to class! You are welcome here and make a valuable contribution by being present and supporting this effort! 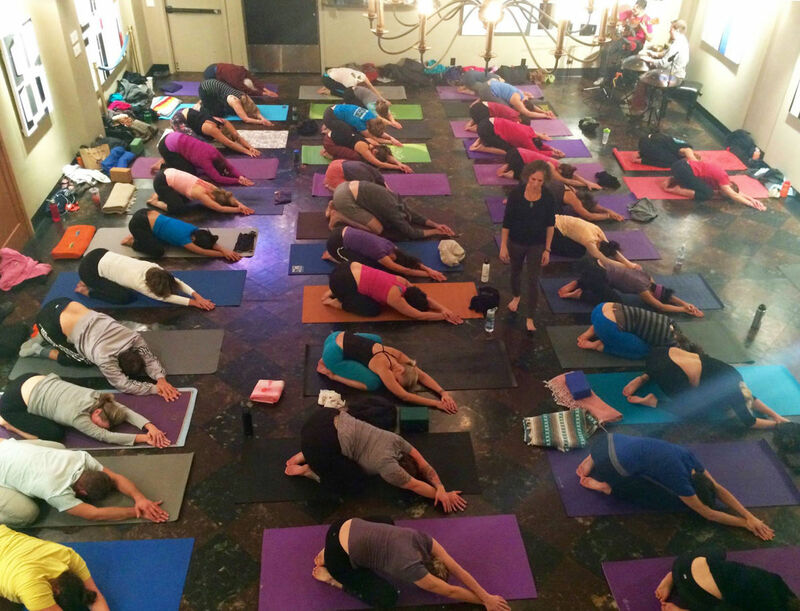 Another way you can get involved is by purchasing a bolster to add to our collection of yoga props. Volunteer to teach a class, keeping any donations you receive. Generally, classes are taught at the beginner level, thus knowledge of modifications and obvious contraindications is expected. 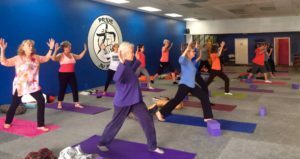 Years of dedicated practice and continuing education via yoga workshops and other trainings will be considered in lieu of a Registered Yoga Teacher (RYT) certification. Sponsor the cost of one community class for only $20 (but any amount with help). What an amazing gift to your community! 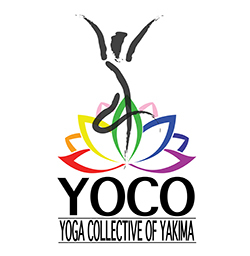 If paying check, please make the check out to Yoga Collective of Yakima and bring to class or mail to: 2612 Barge St., Yakima, WA 98902. If paying via Paypal please send to info@yocoy.org or just click on the donate button below. Watch this space for future raffles. 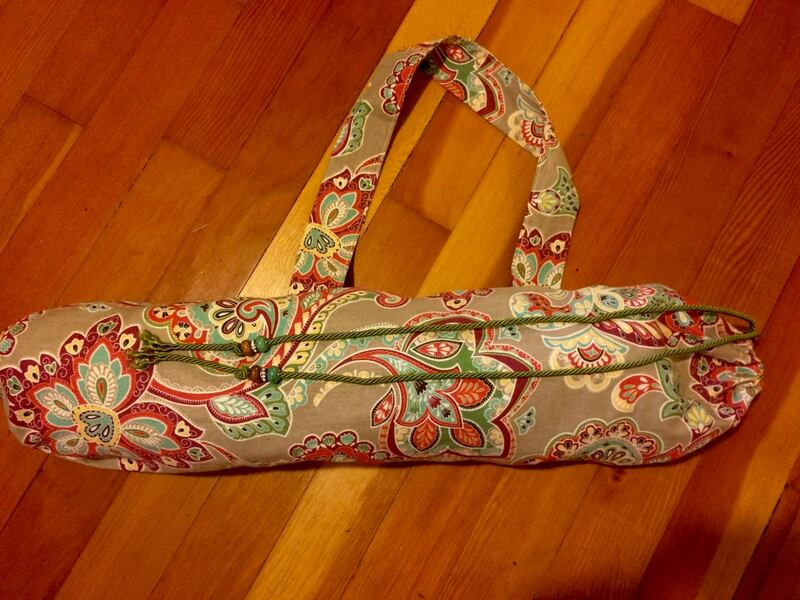 Pictured here is a yoga mat tote handmade by YOCO volunteer teacher Lashel for our December holiday raffle.